April 18, 2019 Program aims to prepare people for career transition, provide an on-ramp for master's degrees, and open more doors for women and underrepresented groups. April 8, 2019 Hassan is one of three people worldwide chosen for this year's Symantec Fellowships. It will provide $20,000 and a salaried internship. April 4, 2019 Knights recognize Solanki's work with Girls Who Code and more; Coleman honored for commitment to students. April 2, 2019 Computer Science and Statistics senior Bliss Chapman is part of the team behind Alma the "talking" dog, a hit at Engineering Open House. March 29, 2019 The new bracket generator for the NCAA Women's Tournament is the first of its kind. It uses the same models as the long-running men's tournament generator. March 14, 2019 Pitt joined Illinois CS in 1985 and had a prominent hand in CS + X, the growth of teaching faculty, and the culture of one of the leading CS departments. March 14, 2019 Research, a widening network of talented alumni, and key roles in major conferences give Forsyth, Lazebnik, and Hoiem an influential place in computer vision. March 12, 2019 Scott Fisher's admiration for Illinois CS faculty and the education they provide to students is part of the reason he continues to be a generous donor. March 5, 2019 The paper identified student misconceptions about introductory CS topics and provided instructors with ideas for helping students. March 1, 2019 What makes a great hackathon? About 950 students from 43 universities, 100 mentors, snacks, swag, soccer, and open-source rock star Bruce Perens. February 28, 2019 Clowder, designed to manage large collections of data now essential to science, is a key part of the 4CeeD framework developed by Illinois CS Professor Klara Nahrstedt. 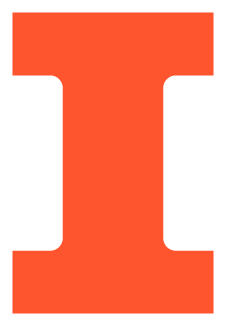 February 20, 2019 A project that was started at HackIllinois 2018 by Nathan Walters (class of 2019) is allowing CS 225 to give students more immediate feedback about their assignments and exams. February 18, 2019 Using system history to judge whether events are normal, Hassan finds a way to sharply reduce the number of threat alerts that demand attention. February 15, 2019 Golub believed in giving back, and his gifts to Illinois CS continue to fund scholarships, fellowships, and a professorship. February 15, 2019 Nahrstedt has longstanding ties to German computer science and is internationally recognized for her work in multimedia systems and networks. February 13, 2019 Hegde, a PhD student, plans to use the fellowship to advance his work on efficient processors for deep learning. February 11, 2019 "Assured Cloud Computing" collects the research of the Assured Cloud Computing Center at Illinois, a project that was led by Professor Roy Campbell.